The internet and the fashion industry have a lot in common: both are able to reinvent themselves on an almost daily basis, and both play an important role in leading change and developing new ideas. It is little wonder then that of all areas of high street shopping, it is fashion that has arguably adapted best of all to the changes in the way we buy things brought about by the emergence of the web. Covering great deals, fashion websites for women, high street clothing and luxury designer brands, here are five top fashion websites, chosen as representatives of the sheer breadth of the online fashion industry. Since its launch in 2000, the UK-based ASOS has become one of the internet’s top fashion websites. Able to respond quickly to changes in fashion, ASOS introduces around 1,500 new product lines each week. With 50,000 branded and own brand products available in womenswear, menswear and accessories, it now ships to over 190 countries worldwide. What began as a website that aimed to replicate designer fashions (ASOS: as seen on screen) with affordable alternatives, is now a leading player in its own right and receives over 16 million unique visitors a month. With over 300 high street stores across the UK, Topshop has long been the favourite destination among young women looking for affordable clothes with a touch a glamour. Topshop’s website reflects the brand’s stature as a staple of the UK high street fashion industry, and includes all of the latest product lines. For those in a rush, a next day pick up service is available at over 250 stores. 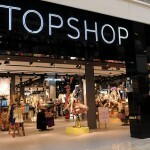 Topshop.com also makes full use of social media platforms and runs an excellent blog for aspiring fashionistas: insideout.topshop.com. Aimed at a more mature market than Topshop.com, the clothing ranges available at the John Lewis website comprise an enormous range of designer brands as well as more practical, everyday clothing lines. With a massive online presence and marketing spend, it is little wonder that JohnLewis.com is one of the most visited UK websites for shoppers on the hunt for anything fashion related, whether that be dresses, jeans or earmuffs. 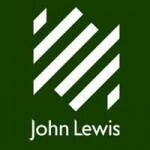 Brands available to buy at JohnLewis.com include Ted Baker, Kurt Geiger and Calvin Klein. Since starting out in Nottingham in the 1960s, Paul Smith has become a global phenomenon, as much loved in the Far East for his distinct take on British style as he is at home. PaulSmith.co.uk offers the full range of product lines currently available in the UK, including ranges for men, women and children. All fourteen of the brand’s current collections are represented on the website, and the New Online section is a great resource for anyone keen to grab the newest products as soon as they come out. As you would expect from one of the world’s leading fashion houses, the standard of web design at Dior.com is simply to die for. Beautiful large-scale photographs provide the backing for each page, helping to give the website its own unique visual style. Not all of the products are available to buy online however, but as a way to indulge in idle fantasy and aspire to a life of greater luxury, time spent browsing Dior.com is one of the internet’s great pleasures.